Photo by Max Herman / Shutterstock.com. 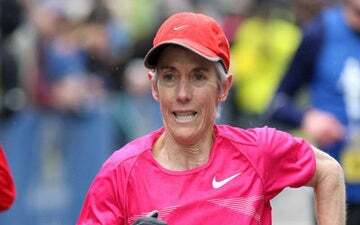 Four Americans finished in the top 10 of the professional women's race at the 2018 Chicago Marathon. 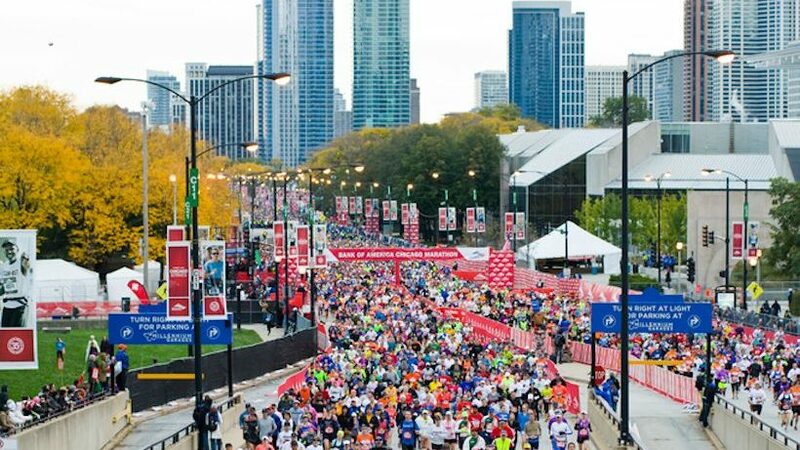 Congratulations to all 2018 Chicago Marathon finishers! Amid rain and friendly temperatures in the upper 50s and low 60s, Kenya’s Brigid Kosgei placed first by more than two minutes in the professional women’s race, while Great Britain’s Mo Farah won the men’s race by 13 seconds. Sarah Crouch finished in sixth place as the top American woman with a time of 2:32:37, followed closely by Americans Taylor Ward and Kate Landau in seventh and eighth place, respectively, with Marci Klimek placing 10th. American Gwen Jorgensen, who raced Chicago as her second-ever marathon and her first since leaving triathlon to pursue professional running, finished 11th in the women’s field in 2:36:23. Alexi Pappas, who raced for Greece and for whom Chicago was her first attempt at the 26.2-mile distance, placed 28th in the women’s field with a time of 2:43:38.